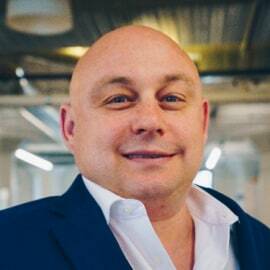 Brett Noyes is the founder and managing director of UnVentures, INC. Noyes created and executed the Unbank.Ventures FinTech incubator program. To date the program has incubated 27 companies globally. The purpose of the program is to incubate financial technology solutions for the financial services industry. In the fall of 2018, Noyes will launch the Unchain.Ventures program to focus on Blockchain and AI technology for the Financial Services industry.